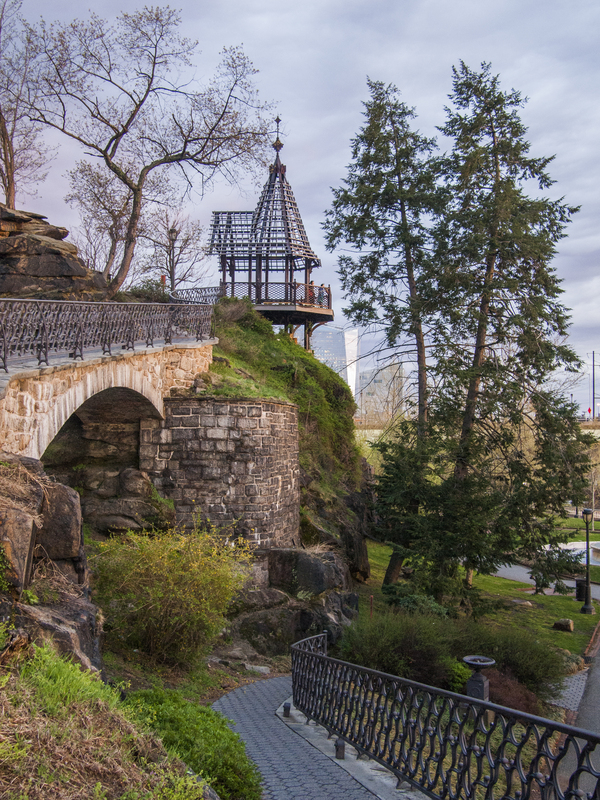 The gazebo atop the escarpment of the Philadelphia Museum of Art overlooking the Schuylkill Waterworks is a recreation of an 1870s wooden gazebo, 23 April 2015. 11 May	This entry was published on May 11, 2015 at 6:56 am. It’s filed under Fairmount Park, Fairmount/Art Museum and tagged #SchuylkillSunset, Philadelphia Museum of Art. Bookmark the permalink. Follow any comments here with the RSS feed for this post.